As 3D printers become larger, faster, and more accurate, their manufacturers face the next challenge: How do we bring additive manufacturing into an industrial manufacturing chain? For several years, machines, processes, manufacturers and materials for additive manufacturing (AM) have been shooting out of the ground. The benefits of this technology are far-reaching and have become central to several industries. The intersection of design, production and construction is where AM is located. The builds can be light but also immensely robust, all thanks to ingenious design. But despite the extensive media presence and coverage, the additive processes are rarely seen and utilised in production halls. Only 28% of German industrial companies own at least one 3D printer, according to one of Bitcom's studies. But this one printer produces prototypes at almost every company, at best, spare parts. The reason why so few 3D printers are actually used in fixed production lines is manifold: They are not suitable for use in a production line or for series production because they are not fast enough, not precise enough, their work cannot be reproduced and post-processing is too cumbersome because they are not automated and therefore not usable in production. In addition, there is a lack of skilled personnel. Automation should be the least of the problems. After all, they are not the first machines to be installed in a production line, nor are they the first with the need for automation. Nevertheless, the integration of additive manufacturing into production causes difficulties for both manufacturers and users. Consequently, efforts have been made to finally move the 3D printer from the design office to the production hall. In the following, the steps towards this and the obstacles along the way will be presented. Several different companies have played a role in this and solved different kinds of problems. With the integration of additive manufacturing into an existing production line, a first step was taken by separating two processes: Back in 2015, Concept Laser presented the first machines for its “AM Factory of Tomorrow” at Formnext. The innovation at that time was that the company separated preparation and post-processing from the actual construction job and thus paved the way for production without dead times. The material flow was to be automated and the laser-melting plant integrated into a classic CNC machine technology via the interfaces. This would clear the way for flexible machine feeding and spatial separation of the set-up and dismantling processes. This not only paved the way towards full integration, but also towards a smooth production cycle that would not have a lot of downtime due to different processes taking up the time of the following stages. Many have followed this example. Most large machine builders in the AM industry offer modular concepts to separate preparation and post-processing from the actual printing process. Within just three years, additive manufacturing had moved to the next level. A first cautious step had been taken towards full integration. But since the integration of Concept Laser into GE Additives, the AM Factory of Tomorrow has been quiet. The Upper Franconians had already seen the potential of Industry 4.0 for additive production. The idea of GE Additives doesn't seem to be completely buried, a recently published Youtube video sketching the current ideas serves as a hint. But in the meantime, they have been overtaken by EOS. After a period of silence, a new idea came to the fore: One and a half years ago, Southern Bavaria joined forces with Daimler and the aviation supplier Premium Aerotech to set up fully automated additive production with the “Next Gen AM” project. The pilot plant has been in operation in Varel in northern Germany since September. It consists of an M 400-4 from EOS, a machine with four lasers for 3D metal printing in the SLM process. The M 400-4 is equipped with a powder station and connected to a stand-alone set-up and unpacking station. As Concept Laser had already believed, a new print job can be prepared while the current one is still running and the previous one is in post-processing. So while one autonomous transport vehicle equips the printer with a fresh building board, another transports the previously additive components from one station to the next in a container while shrouded in protective gas. There, a robot takes the building platform and places it in a furnace for post-heat treatment. The same robot arm then removes the building platform again and takes it to a 3D measuring station for quality assurance. Finally, the building platform reaches a saw that separates the parts from the platform. There is only one printer in the pilot plant, but the companies are working towards a central powder management system that can load several printers. This process demonstrates the trend and effort towards full automation in regard to the printing process. The seamless connection of the different stages was a valuable step in this development, reducing downtime and ensuring a swift production process. Another joint project is the DMP Factory 500, a modular and scaleable concept from 3D Systems and GF Georg Fischer. The components consist of a printer, a replaceable printer module, and a powder management element that removes excess powder from parts and building platforms and recycles it. It also includes a transport system and an element for intermediate storage if the next work step is still occupied. The entire process is fully automated. Through automation, employees no longer come into contact with the protective gas required for the metallic powder bed process. 3D Systems and GF have one one step further than the Next-Gen AM team. 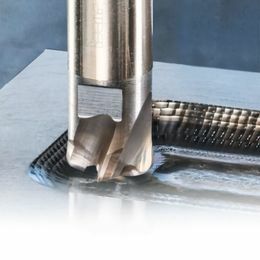 They are also thinking about continuing the component to machining processes, whether for post-processing or as a further station in a larger manufacturing process. The DMP Factory 500 can communicate with all important ERP systems. In addition, the laser technology company, with its scan field monitoring and levelling system, is paving the way for reproducibility and thus for genuine series production. Scan field monitoring ensures that the laser beams are correctly aligned. For this purpose, a calibration target was previously attached to the coater. Levelling ensures the position of the construction panel. Using a camera and laser measuring system, it checks the height and alignment of the panel before the construction job. However, correction still has to be carried out by a machine operator. Trumpf is not the only one working on automating the laser settings. 3D Systems and EOS are also aware of the need. Integration in 3D plastic printing could be simpler. That's because there's no need to create a protective gas atmosphere. This also applies to some metallic processes, such as Xjet's Nanoparticle Jetting (NPJ). It is probably even easier with filament printers and metallic processes that work with wires. These are often designed as gantry machines or work with a robot arm and can be placed on an assembly line. This way, they can easily find their place in a production line. But most projects revolve around production chains for pure additive manufacturing. What about 3D printing as a station in a production line? At Arburg, that's almost an old hat. With its Freeformer, the plastics technology company already demonstrated at Fakuma 2015 how additive manufacturing can be integrated into an automated process chain. There, an LBR iiwa took an office shear with workpiece carrier from the conveyor belt of an injection moulding cell and, after scanning the DM code, placed it on the component carrier of the 3D printer, where an individual 3D lettering made of PP was printed. After an inline quality check of the finished product, the robot handed over its personalised scissors to the trade show visitor. While this sounds rather simple, this is not the entire picture. Here, too, a cross-departmental team worked on automating the process – and is still perfecting it. The engineers are still faced with obstacles. For example, they are working with research institutes on a reliable quality inspection for batch size 1 and the suitability of the process for series production. 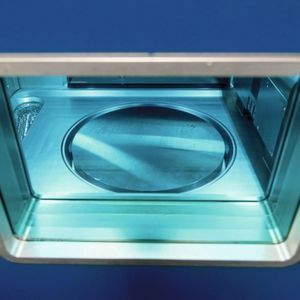 Comparatively lengthy cleaning cycles play an even greater role with metallic powder bed processes than with freeformers, but Arburg's granulate-based plastic printing also has to take into account cleanliness and the correct treatment of the material. This leads to the logistics of the materials. The easiest way is for users to work with filaments or metal wires. Arburg's free-moulding of plastics process is a kind o flappy medium. It is important that no dust particles get between the granules, as these could clog the nozzle and thus change the droplet size. The metallic powder bed processes are more complex. They also pose a risk to the health of employees. The following applies to all of them: Batch fluctuations can influence component quality. But Arburg sees the biggest problem in data exchange. Up to now, the Freeformer has had an interface based on Euromap 67 that communicates via the real-time Ethernet variant of the Varan bus. The machines OPC UA and the host computer system ALS speak superiorly. With a lot of problems and obstacles overcome, communication is the next hindrance. A continuous data chain and barrier-free communication in real time between the machines, the control room and the higher-level system are the greatest challenges, according to all companies in additive manufacturing. Unfortunately, the solution is not served ready to go, and personal initiative is still required. However, companies from both the AF industry and the software sector are working to make consistency possible. With everything (theoretically) taken care of in the production hall, it is the data exchange between different machines that poses a final challenge. But of course, another company is already working on a solution to this problem as well. The PLM/ERP provider Computer Komplett announced that it will present an end-to-end digital data usage for 3D printing right through to production at the PTC Forum at the end of November. The CAD data for the 3D model comes from Windchill, PTC's PLM system. In addition, the manufacturing process is visualised and monitored in real time via the IoT Thingworx platform. This also takes into account changes to the model or to the production order. 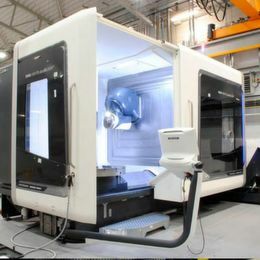 This would create a seamless process from product development through production planning to production monitoring, explains Computer Komplett. In addition, the data can also be accessed via a cloud. Theoretically, this would be the final missing piece to ensure a smooth transition from start to finish. EOS will soon also be offering software for communication and data exchange with MES or ERP. 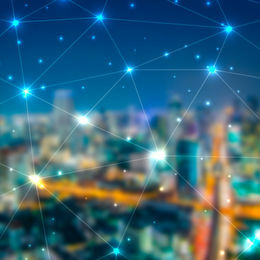 EOS Connect Core provides standard interfaces that allow the exchange of live data and status messages via OPC UA as well as historical data via a Web API. “With the software, users can display the utilisation of their EOS systems on a dashboard,” explains Mirco Schöpf, Product Manager Software at EOS, “This is just one of the advantages. In the future, the program will also make it possible to control similar machines from a control console. The peripheral devices are not yet integrated. We are thinking of steps such as component transport and powder recycling,” adds Schöpf. “We are also still working on the integration of further processes. We are focusing on the AM process part, but our vision is a continuous traceability of all process steps relevant for additive manufacturing, from an idea in the form of a CAD drawing to the finished component,” enthuses Schöpf. EOS Connect Core should play a central role as a data interface to the AM process cell, but should always be seen as part of different software solutions from different vendors when it comes to complete tracking. “The goal of EOS is to make the data from the 3D printing production step accessible,” explains Schöpf. The Belgian software provider Materialise is specialised in additive manufacturing. 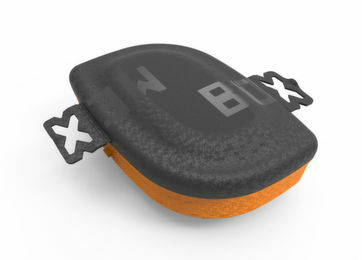 The company has been working on an integrated program for some time now and offers Streamics, a PLM software solution that extends from production to shipping. Since Materialise itself also works as a contract manufacturer, they subject their software to constant tests for practical suitability. As should be evident by now, AM faces a lot of different challenges when it comes to its integration, be it in the form of transition from one stage to the other, the handling of the raw materials, or the general connectivity of machines within a production line. With all of these innovations and those still to come, AM can finally move from the prototyping office into fully automated production lines.